if kapa is getting refitted to "luxury" then id love that gig as it looks like its getting milked. i mean, if it were me, and my dime, it would be out the water and gutted before i installed things like a "hot tub?". I mean really, there looks like a lot more gutting needs to be done before it looks ready to get a faclift to luxury conditions. Are these ships still there? 8th Feb: M-1076 ex-Paderborn, is now on the synchrolift. 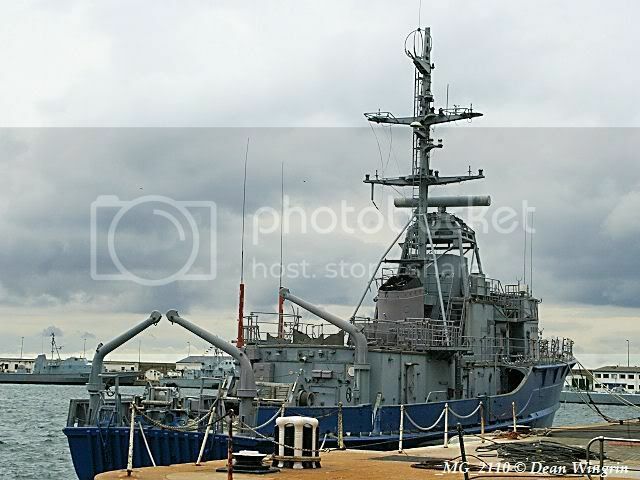 googled and found some more photos of this ship - its looking good inside. Buying a ship is often the cheapest part. It's running the thing the breaks the bank. Now if you want a real yacht check out Larry Ellison's "Rising Sun". Was in Cape Town middle of last year at the waterfront for the world cup. You need a BIG piggy bank to keep that one going! I wonder how much change one gets after a "fill her up". Having some fun, are you sure it is UK gallon (4,546 liters) and not US gallon (3,785 liters). Seeing as us seffricans never used the fluid measures the rebel colonialists across the pond do I'm pretty sure of my gallons!